THE PICTURE ON THE LEFT WAS TAKEN WHEN HE WAS 12 WEEKS OLD. THE PICTURE ON THE RIGHT WAS TAKEN ON THE DAY HE DIED. HE WAS A SMALL BOY . HE WEIGHED A LITTLE OVER THREE POUNDS AS AN ADULT . 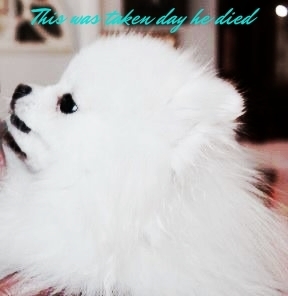 HE WAS A PERFECT EXAMPLE OF A ICE WHITE POMERANIAN. 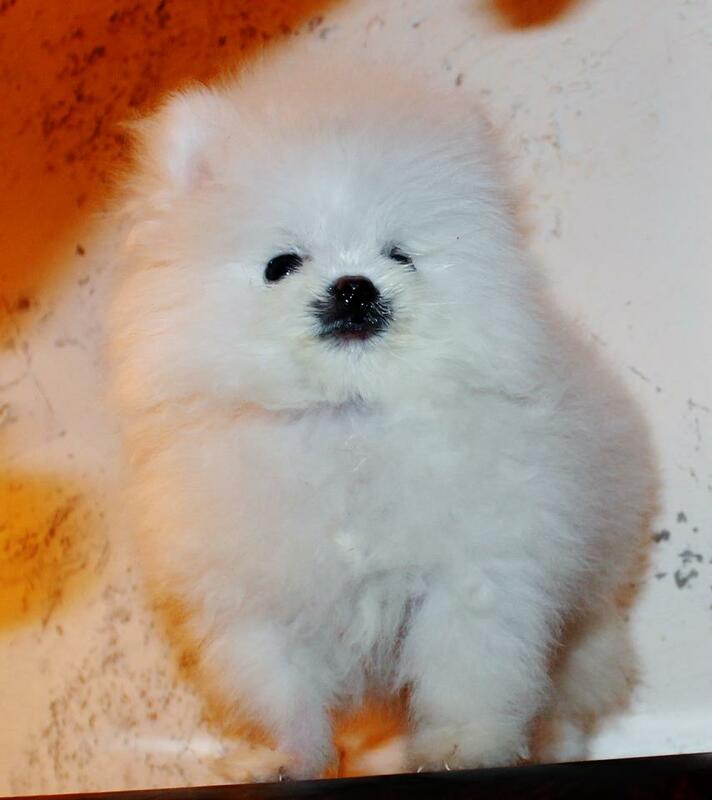 BELOW IS AN EXAMPLE OF AN ICE WHITE AND A LIGHT CREME POMERANIAN.